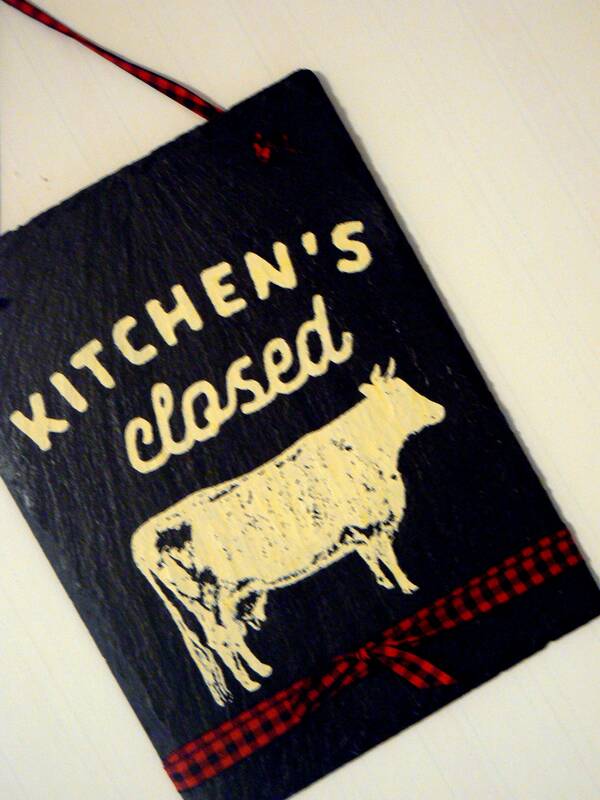 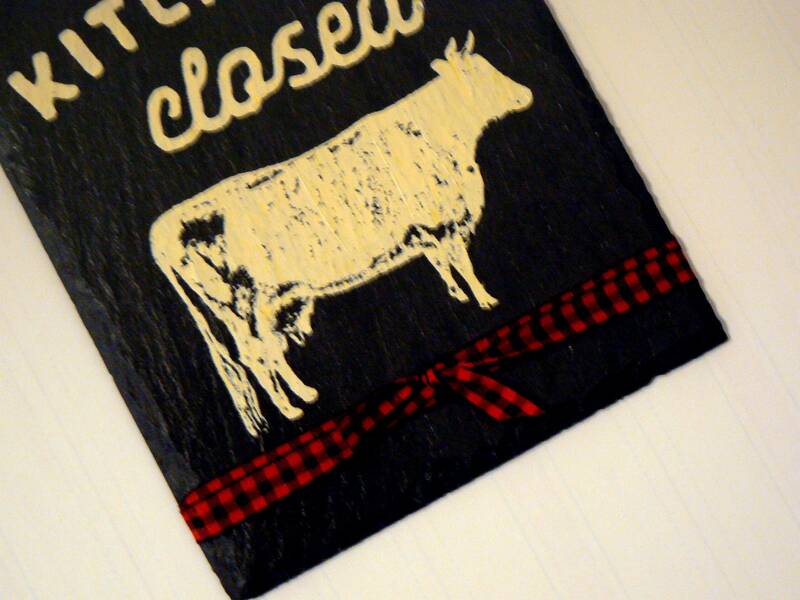 7 7/8" x 5 3/4 "
The cow image and kitchen's closed paste color is a creamy off white that pops nicely on the black slate sign. 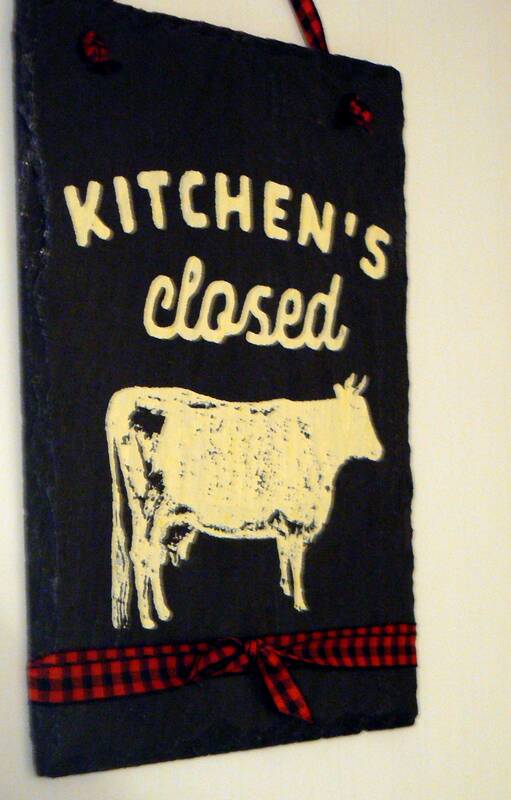 Black and Red Gingham checked ribbon is knotted to create the loop to hang this cutie from. 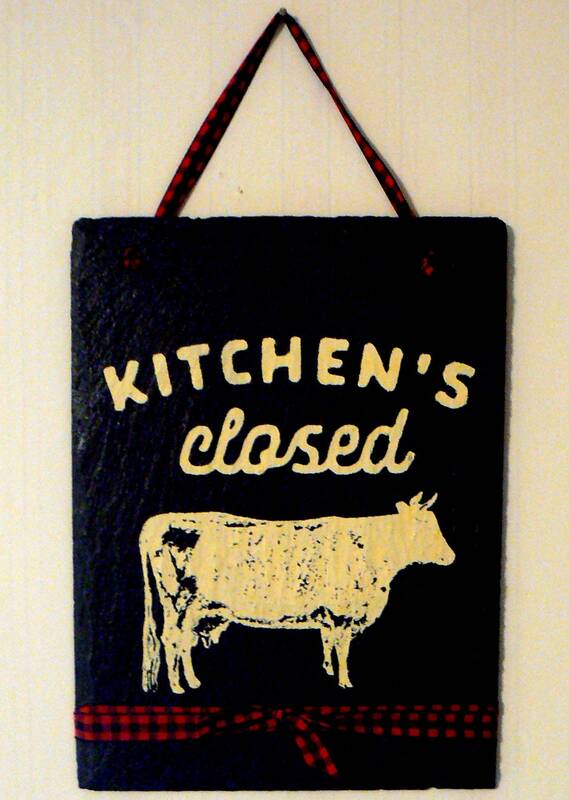 High quality chalk paints have been used to create this sign and it was carefully sealed to preserve the beauty of the colors used.